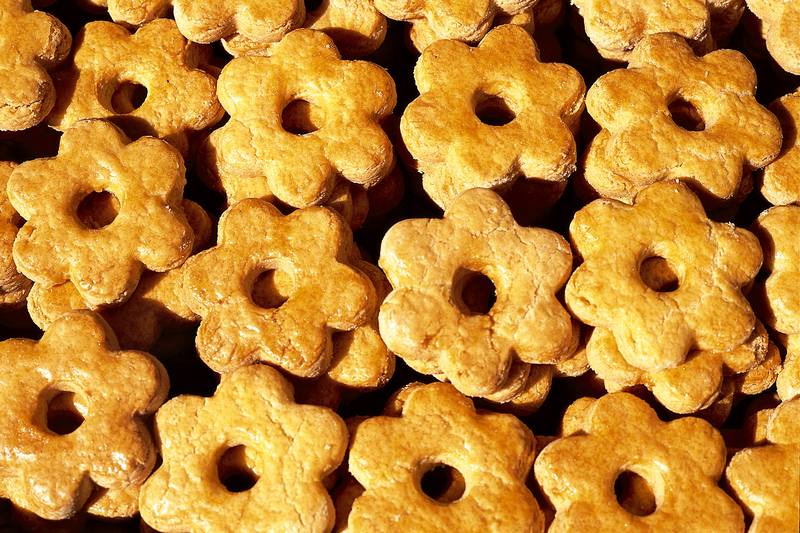 These sweets have been known in Genoa for centuries, so much so that they appear on coins of the genovini d’oro currency from 13th-century Genoa, in their classic 6 point shape. 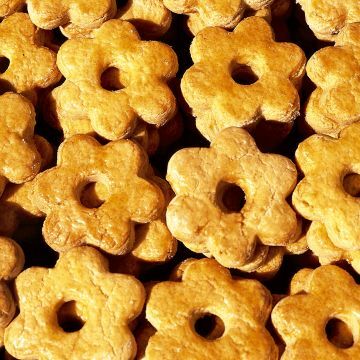 The origin of these biscuits is claimed by Torriglia, an inland town on the outskirts of Genoa that celebrates the history of the biscuits each year with a special fair, yet many other varieties are found in towns and villages all over the province. Make a mound with the flour with a well in the centre and add the egg yolk, soft butter and sugar. Knead the mixture well into a smooth consistency and leave to rest for a while. Then work the dough by hand to make an about 1 cm thick sheet. With a suitable 6 pointed pastry cutter, cut out the canestrelli shapes and brush with the leftover egg white before placing in the oven. Cook at 140°C for about 20 minutes, until they have a golden brown colour. A glass of liquor or grated lemon rind can be added to the mixture according to taste. To serve you can sprinkle with icing sugar or dip them in dark chocolate, then let them cool.